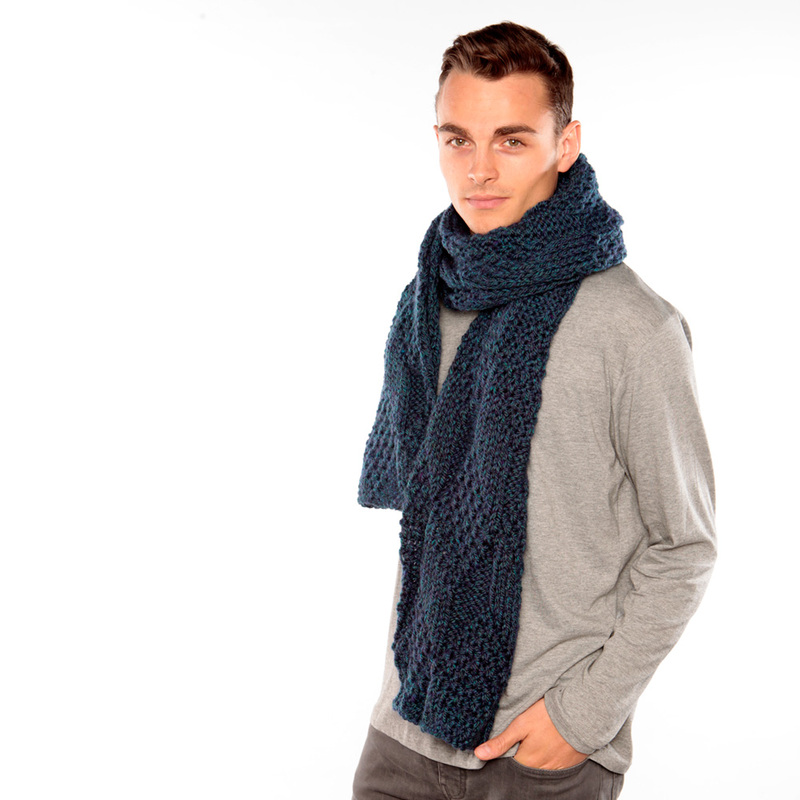 Beat the cold weather with this luxurious chunky knit wool scarf and stay looking cool whilst doing it. 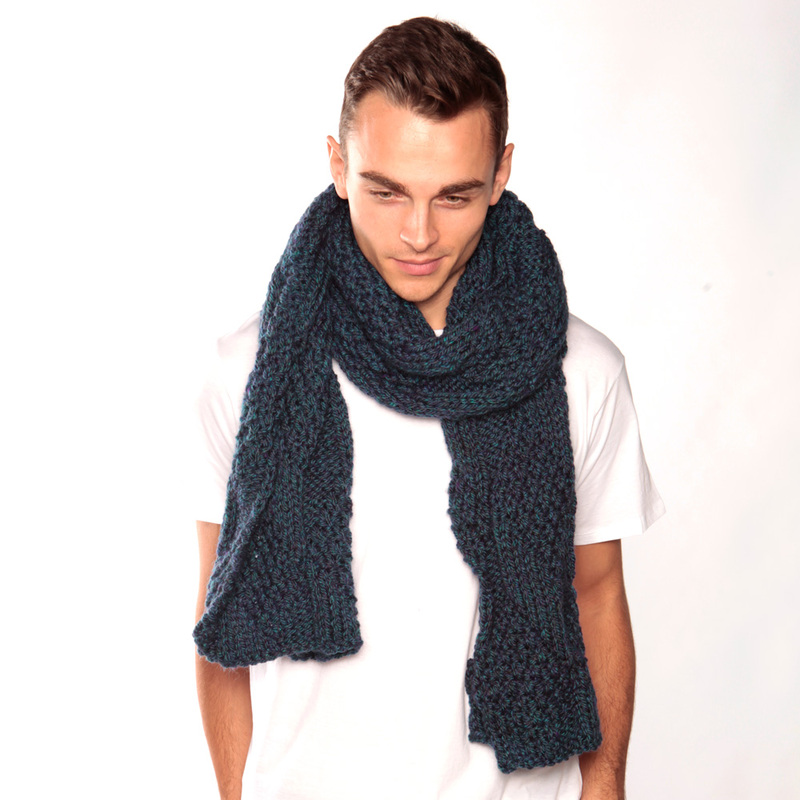 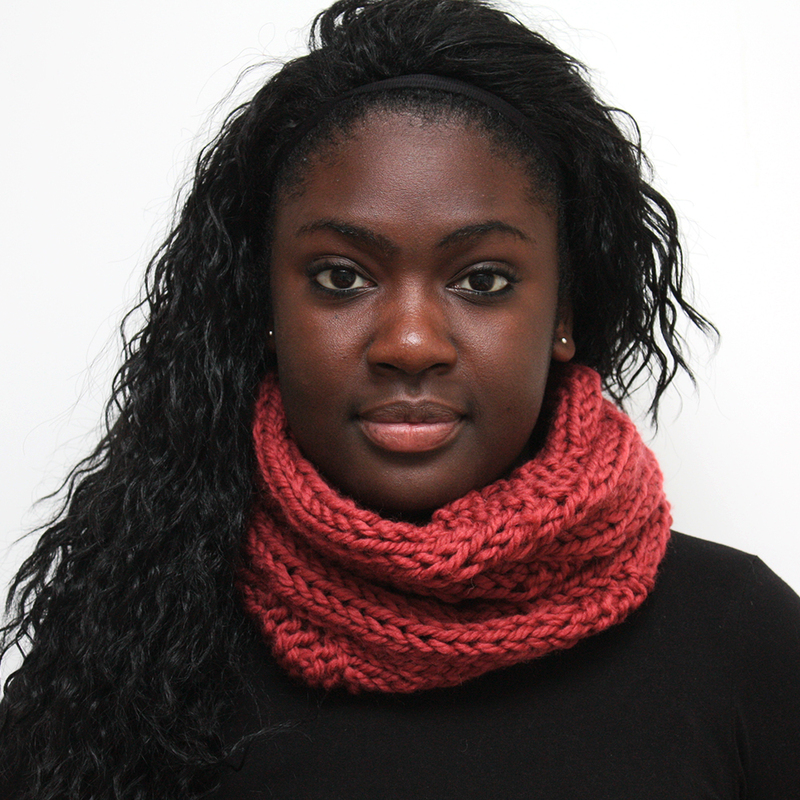 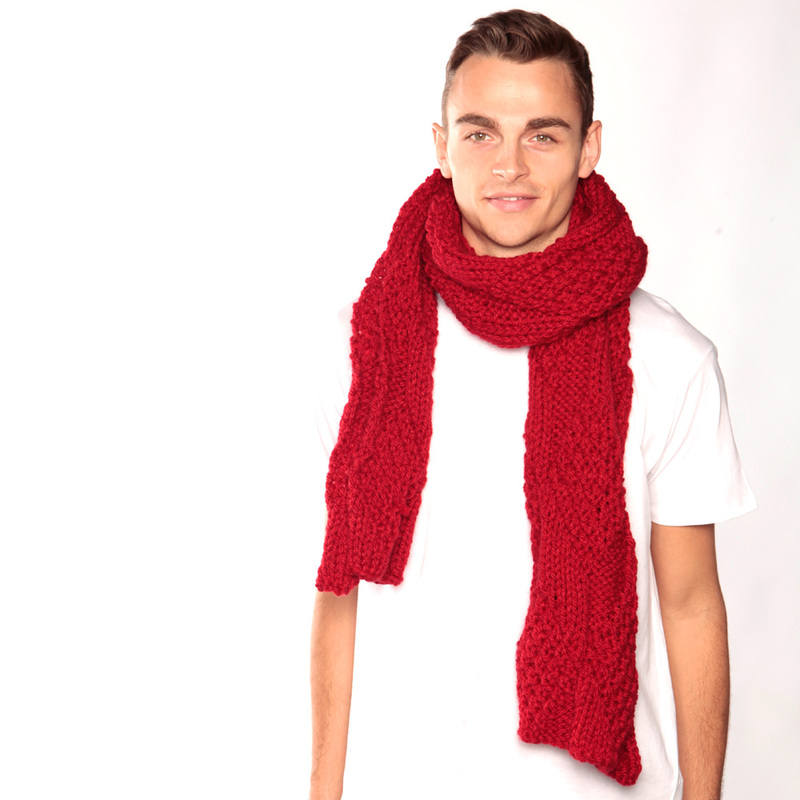 The scarf is hand-knitted in merino wool which is warm and soft against the skin. 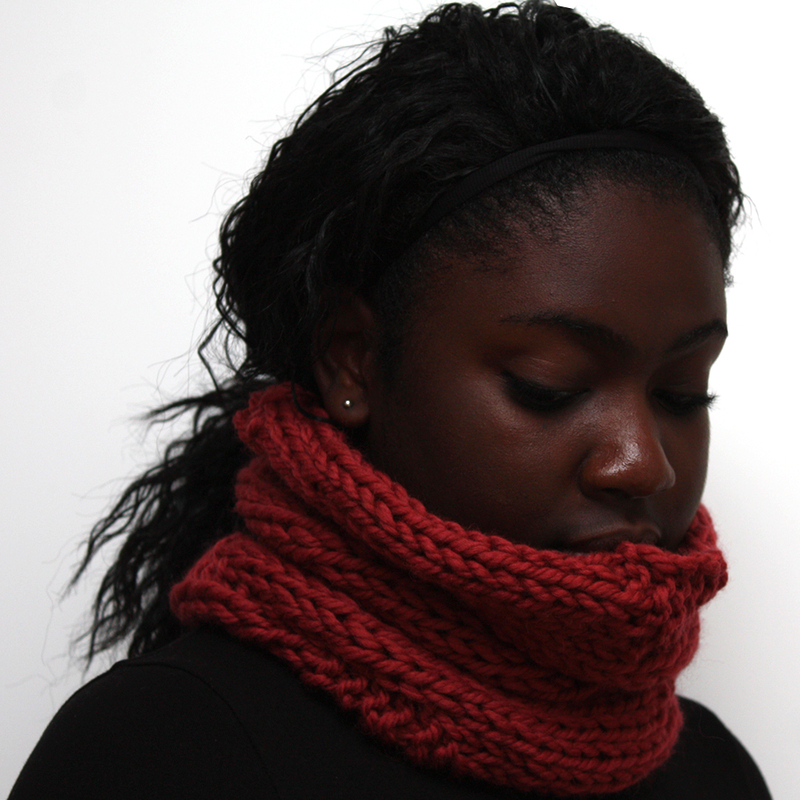 The perfect winter accessory for the cold winter weather. 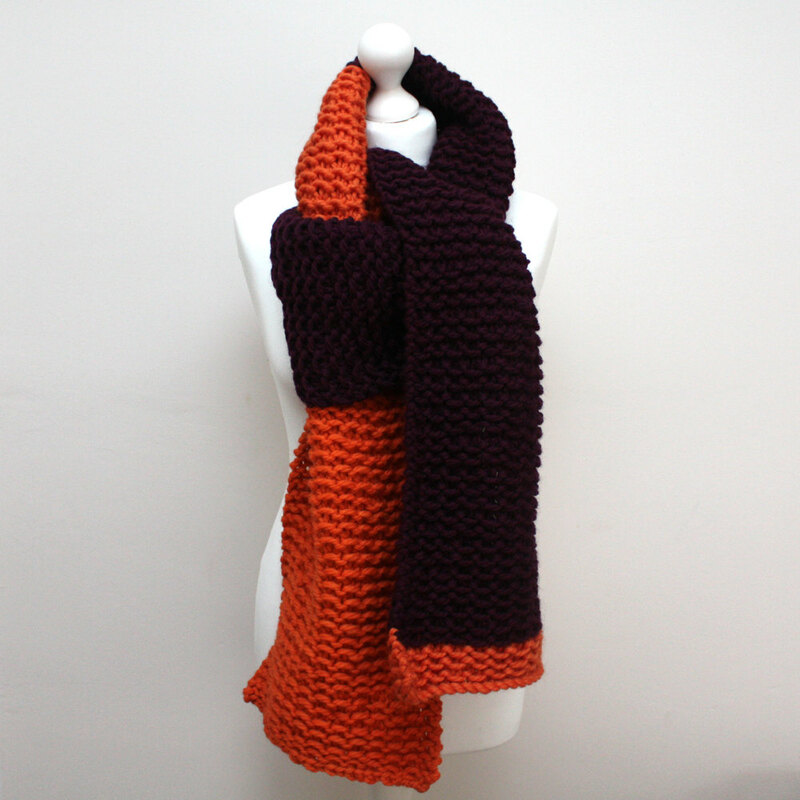 The scarf is long and at almost 2 metres long, you can wrap it round in so many ways, making it look different every time you wear it. 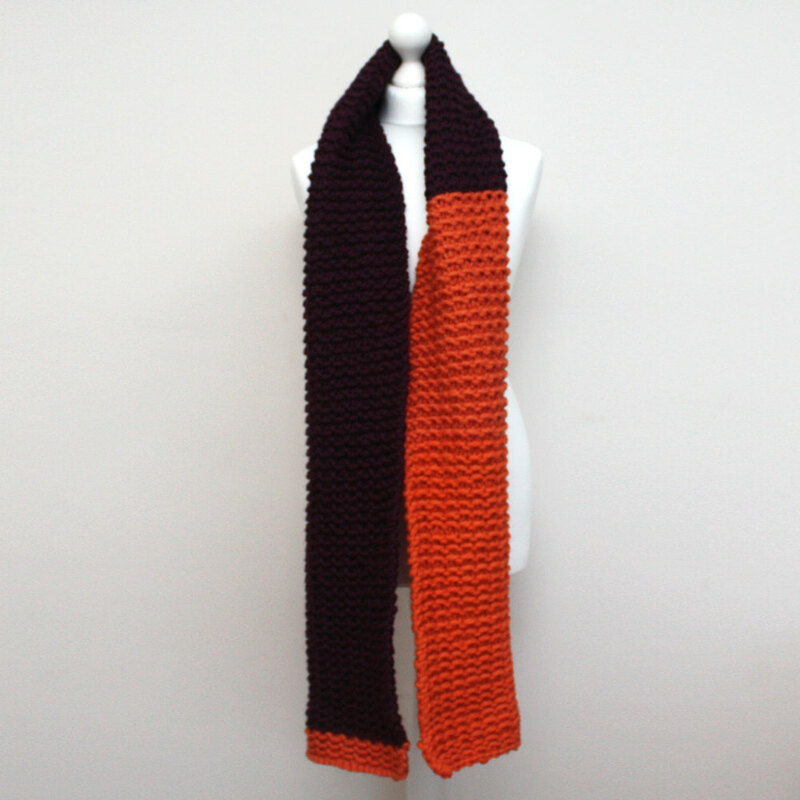 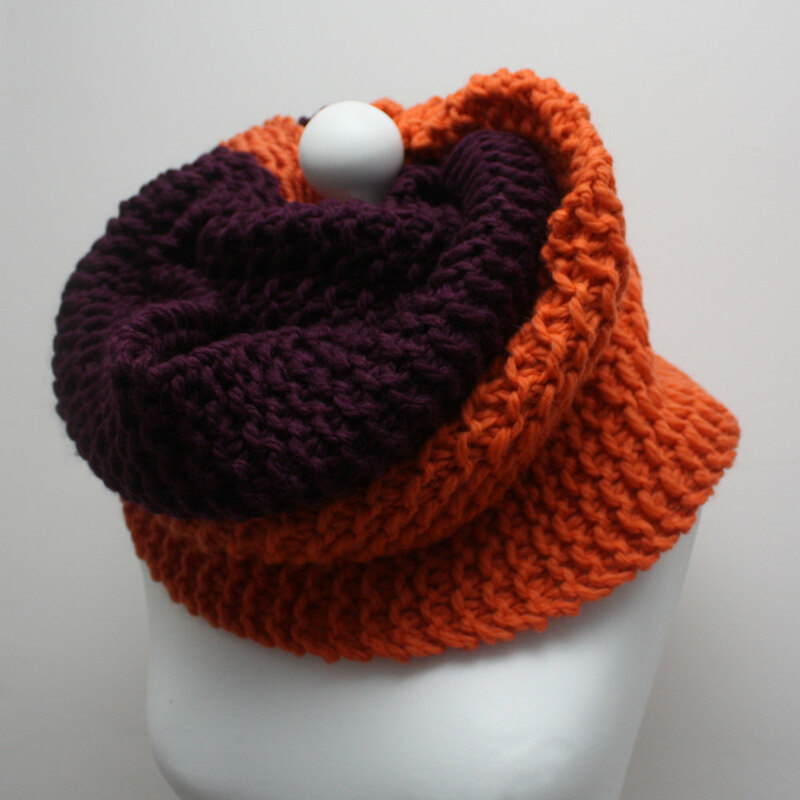 It comes in a mix of bright orange and purple taupe, making a unique one of a kind winter fashion accessory. 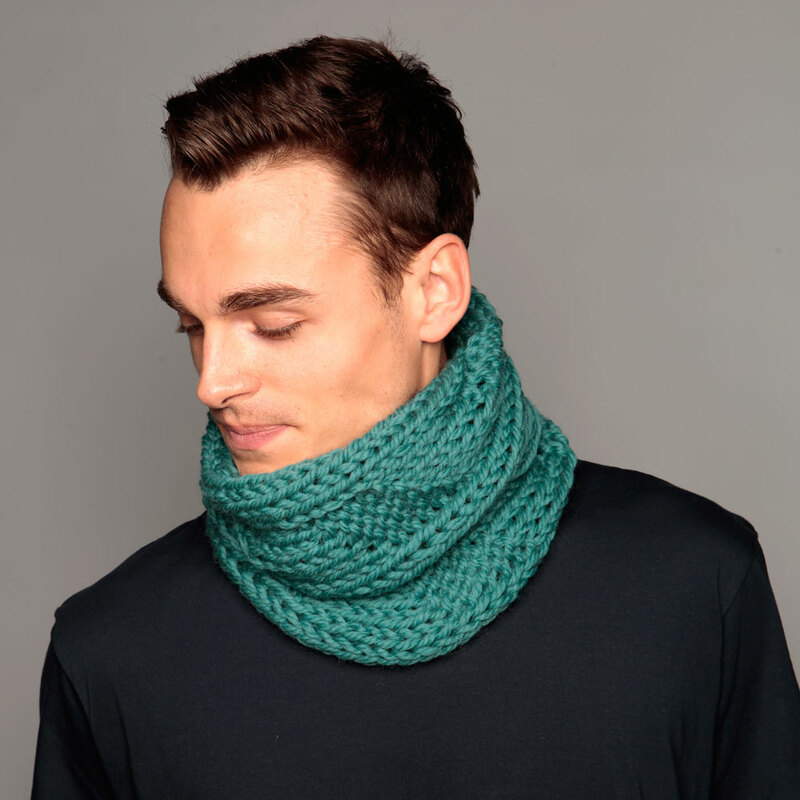 It is made up in sections of different colours of different widths so it never looks the same when you wear it depending on how you tie and drape it. 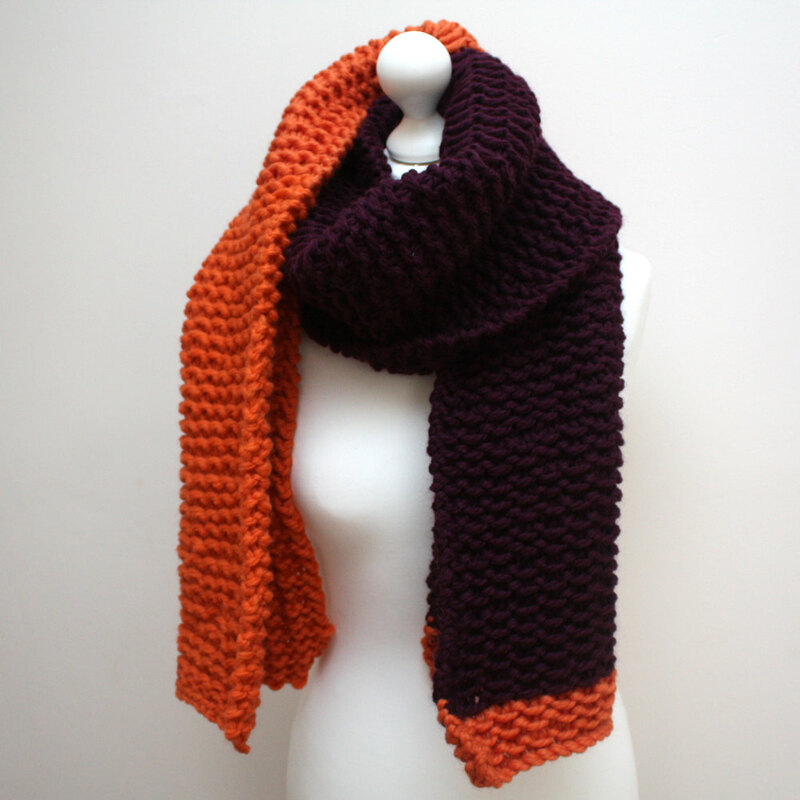 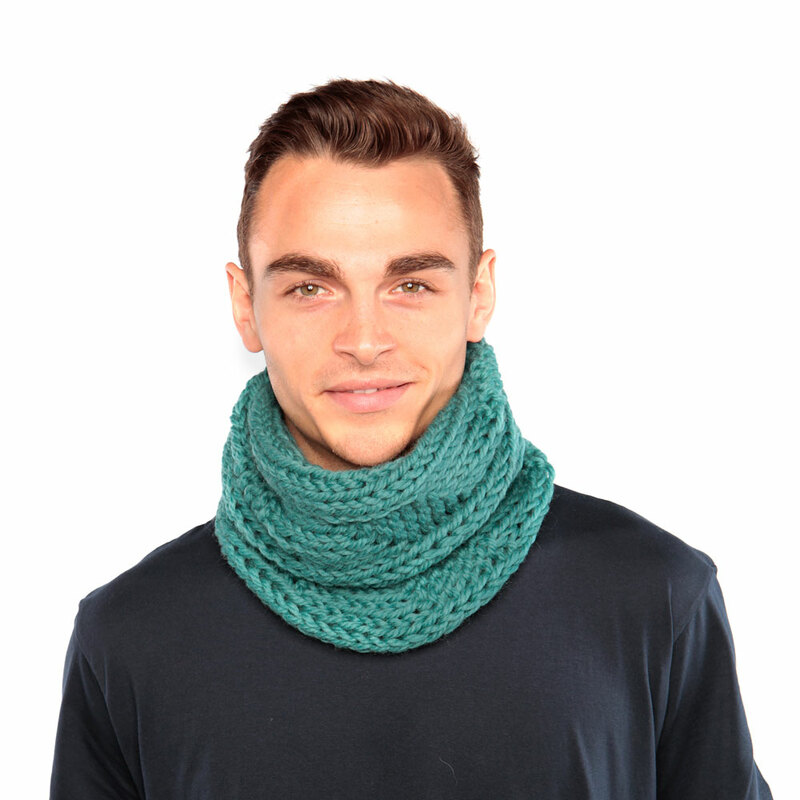 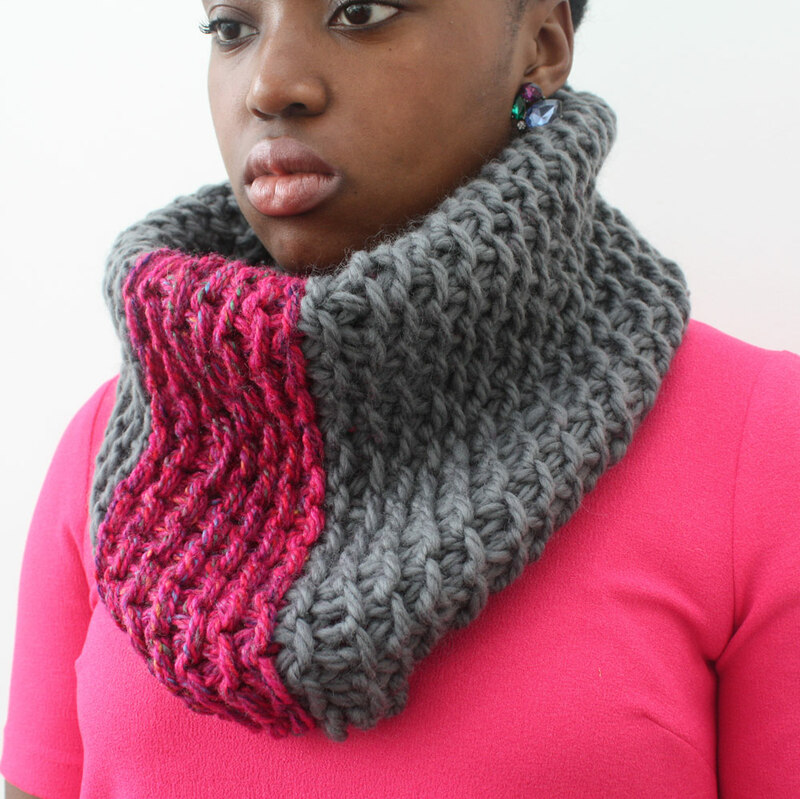 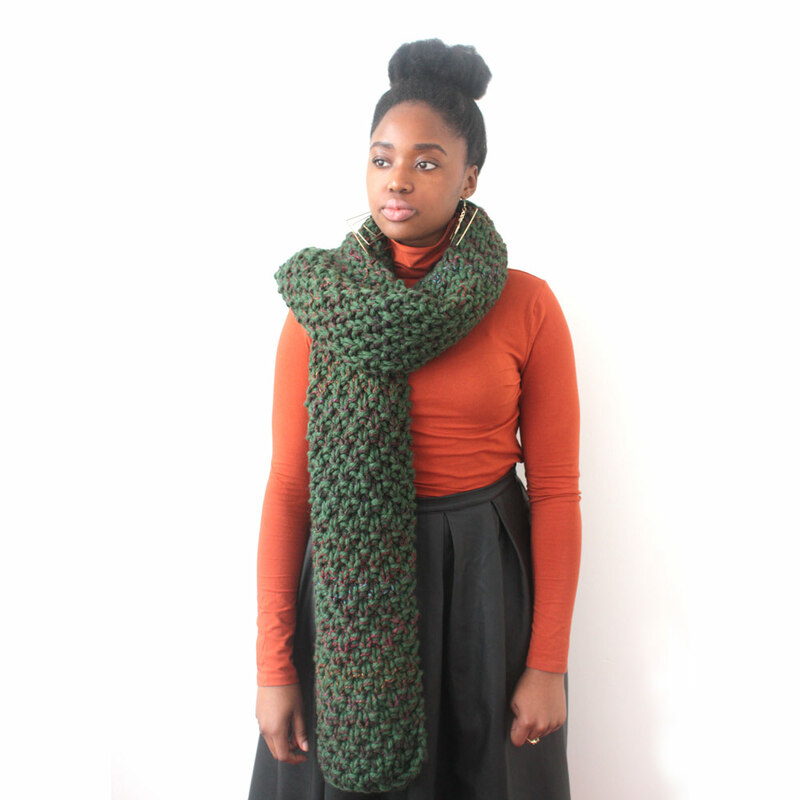 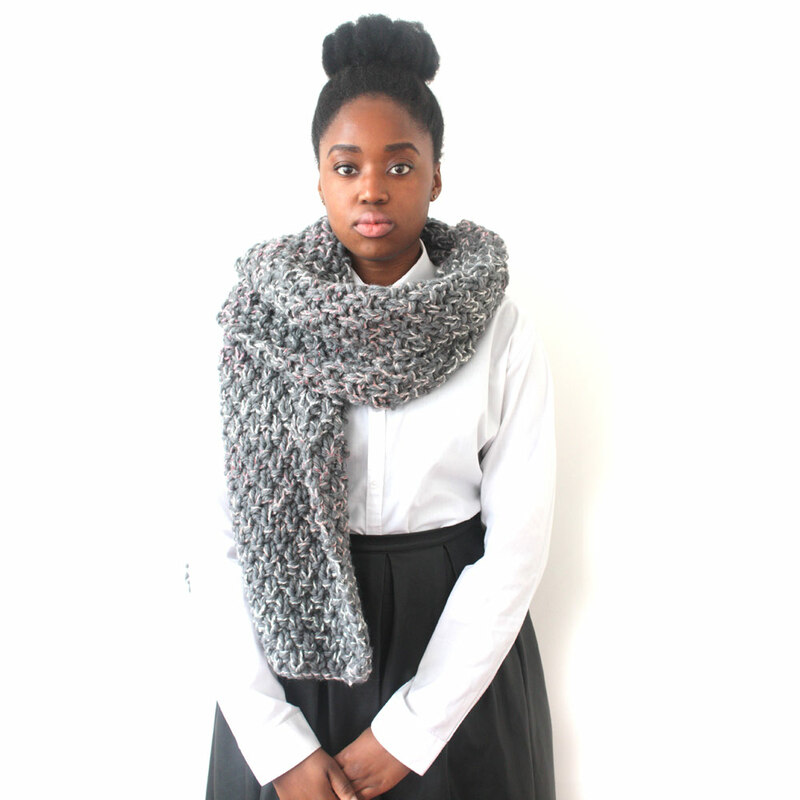 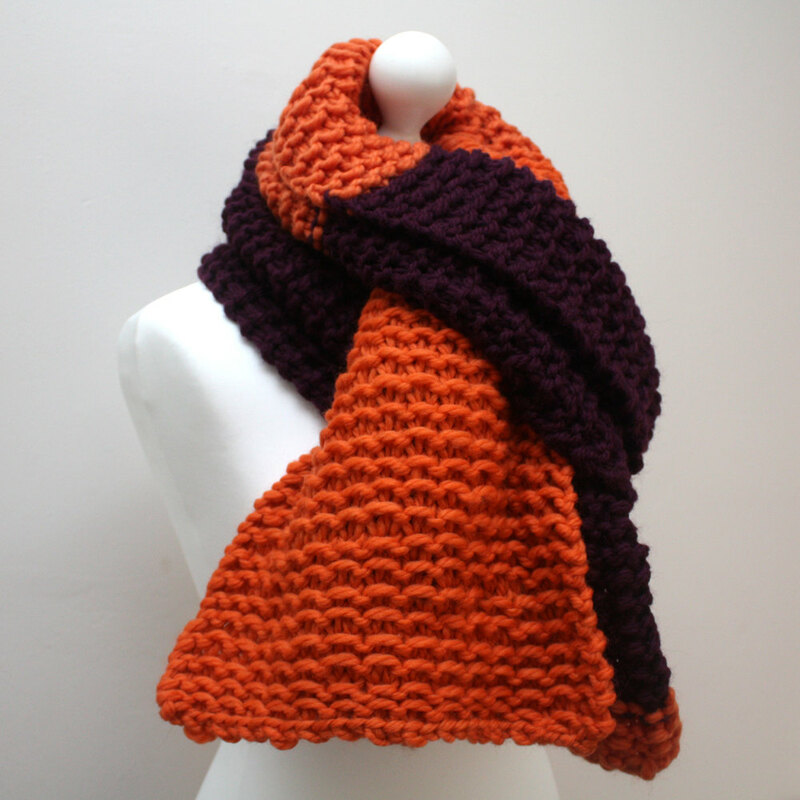 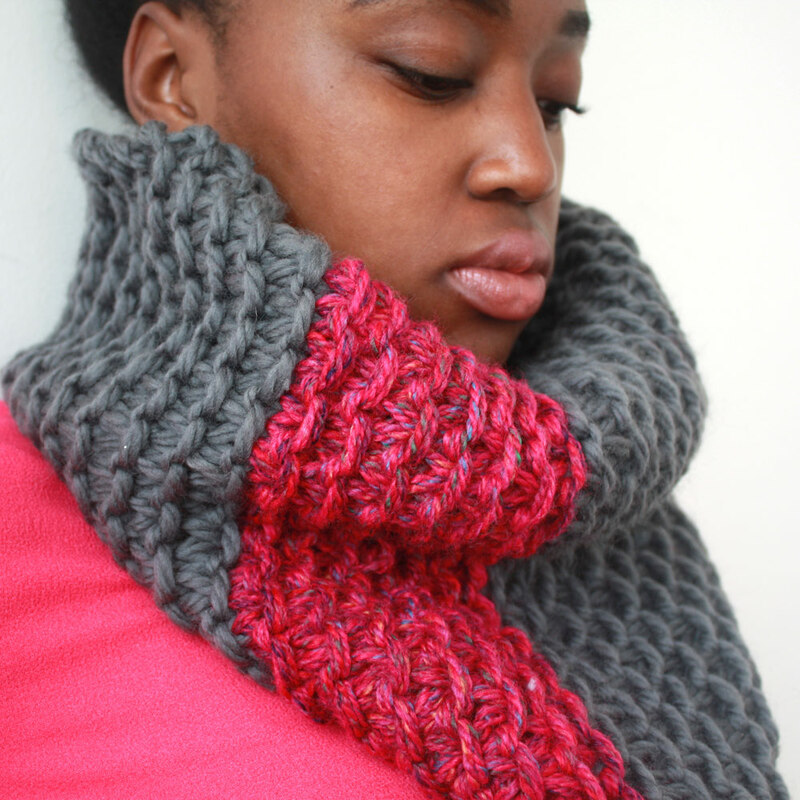 So if you want a super chunky, warm and interesting scarf for the winter, this one if for you!